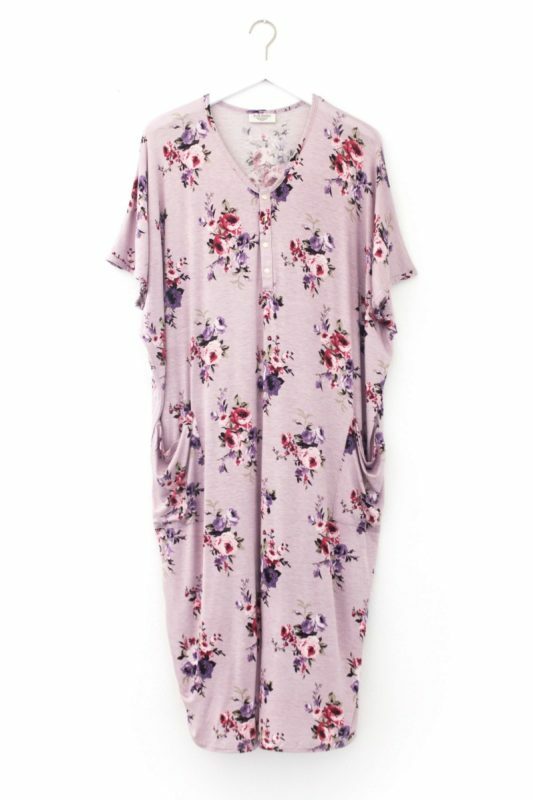 With soft florals on a pastel purple background, this flowy V-neck caftan creates a feminine statement. Our effortless, modern house dress features a loose silhouette with softly curved seams. Three-quarter dolman sleeves complement the relaxed fit. Fabric is deliciously lightweight, buttery soft, and has the perfect amount of stretch. This flattering and timeless piece is an essential for all seasons. 100% nursing-friendly and bump-friendly. Traveler's favorite. 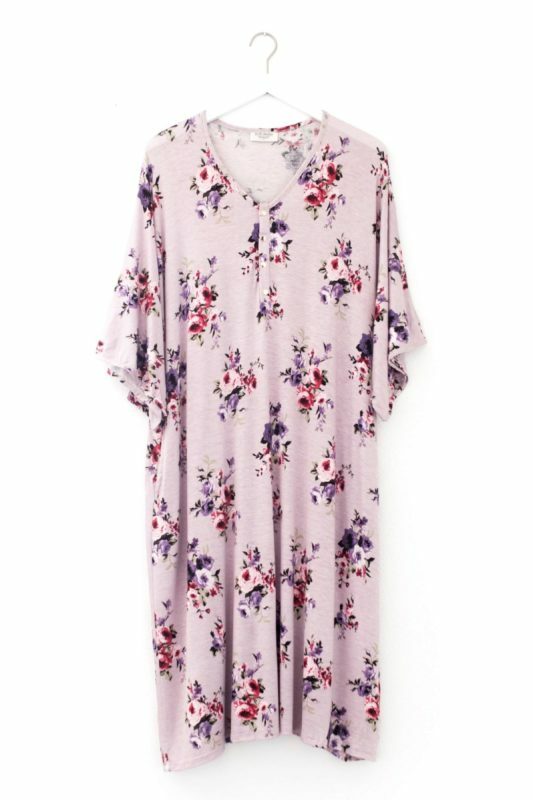 With soft florals on a pastel purple background, this flowy V-neck caftan creates a feminine statement. Our effortless, modern house dress features a loose silhouette with softly curved seams. Short dolman sleeves complement the relaxed fit. Fabric is deliciously lightweight, buttery soft, and has the perfect amount of stretch. 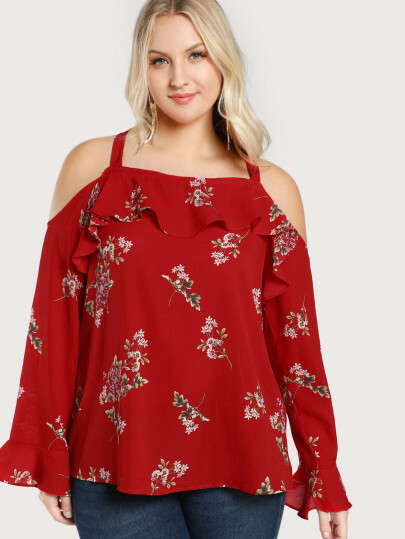 This flattering and timeless piece is an essential for all seasons. 100% nursing-friendly and bump-friendly. Traveler's favorite. 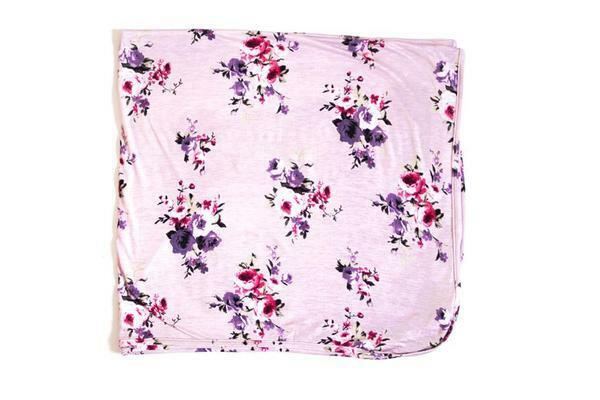 This buttery soft swaddle is breathable, snuggly, and will keep baby super comfy. Our stretchy, lightweight swaddle makes a great nursing cover and is the perfect comfort blanket as your little one grows. 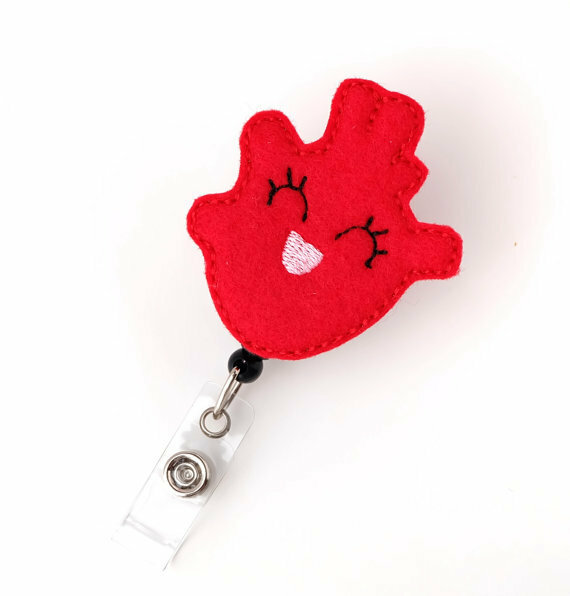 This is the ultimate baby gift! Details: Measures 38"x38" Designed and made ethically in the USA Fabric content: 97% rayon, 3% spandex Care: Machine wash, cold, gentle cycle. Wash separately. Do not bleach. Lay flat to dry. Low iron or steam as needed. Hand wash recommended.